Hi everyone, Happy Friday! As the title says, I'll be doing my review for the February Maven box "The Dramatic Collection". I actually feel really bad because it wasn't until I started working on this month's Maven box that I realized I didn't do last months. I broke my nails a lot while trying to and ended up getting so upset that I stopped working on the review. It's like a half post sitting as a draft right now. Tragic, I know. If this is something that you guys might be interested in though, I can definitely try and put it up. Let me know in the comments below. Moving on... here's my cute box filled with the It Girl version of The Dramatic Collection. Filled with Glitz, Glam, and Drama! I would of posted the info card, but I have a habit of throwing it over my shoulder and diving right into the polish. 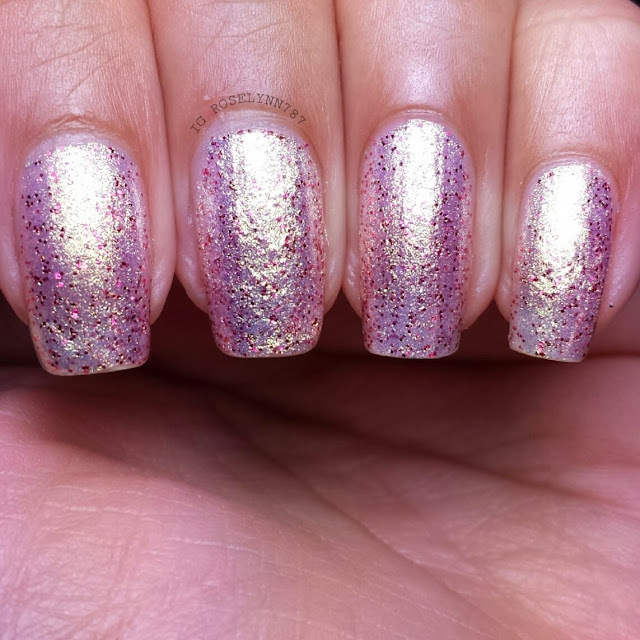 This month's Maven box had a special treat for all of their subscribers, an additional polish called Bombshell. I didn't know about this before hand so I was super excited to get this. 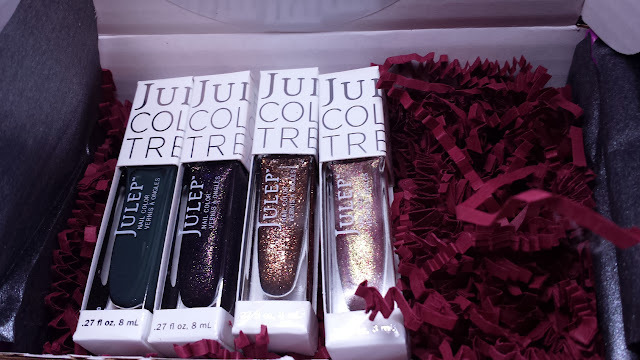 Let's start this off with the gift from Julep this month, Bombshell. 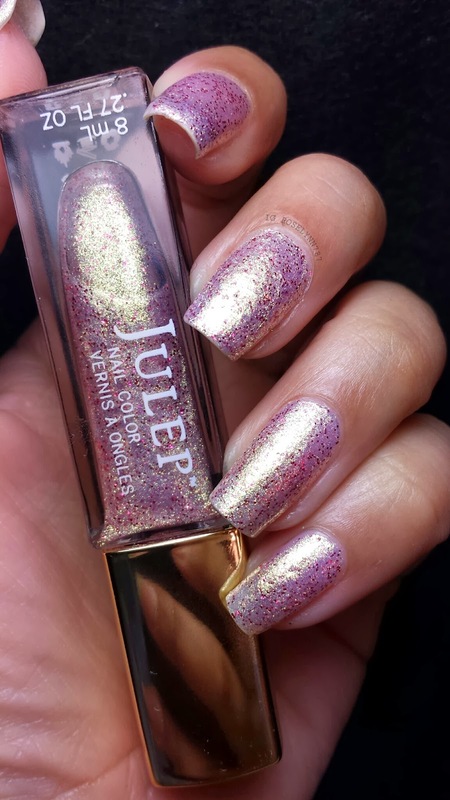 Bombshell is a pearly gold shimmer polish filled with fuchsia micro glitters. It was so incredibly hard to capture the true color of this polish in a photo. The color is absolutely gorgeous in person, however, not a fan of it against my skin tone. 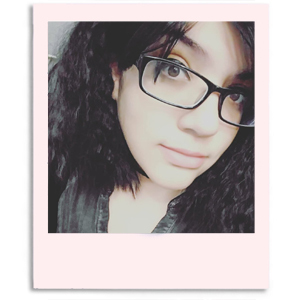 I don't know maybe it's just me being weird, what do you think? Bombshell was swatched over a clear base coat, used 2 thin coats, and was sealed with a fast drying topcoat. You'll find it slightly sheer in one coat but a 2nd coat should give you full opacity. The application was quite good, better than I expected. I really love this one but like I said I just wish it looked better against my skin complexion. Regardless it was a great surprise addition to this box and did you notice the gold cap? Pretty cool to make it different from the rest this month. Next glam beauty is... Glam Roc! 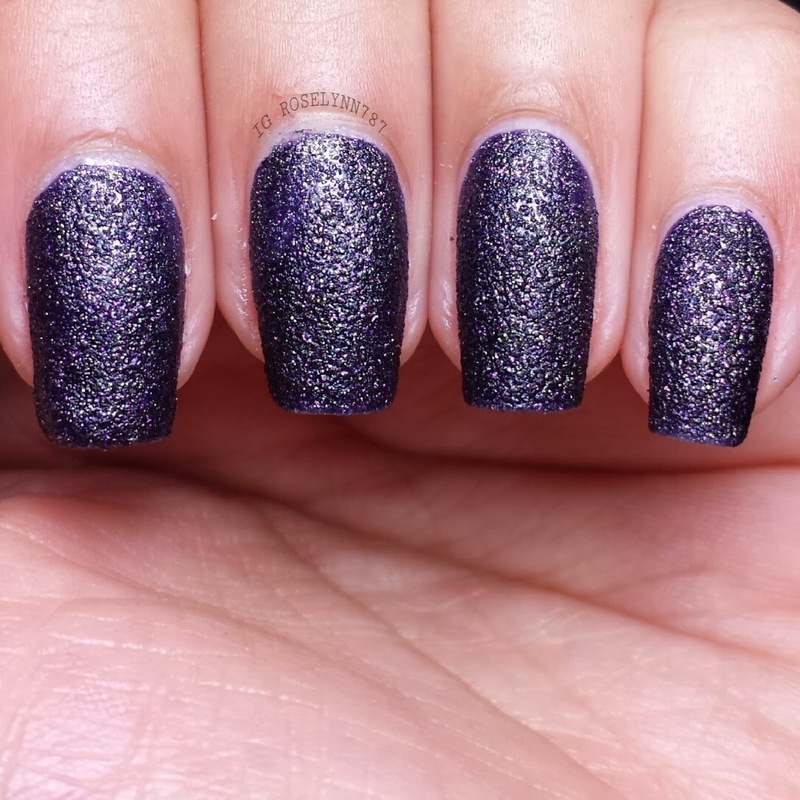 This polish is in the shade of royal purple and labeled to have a stardust finish. Stardust finish basically means it is a texture polish and let me just say one word, amazing! 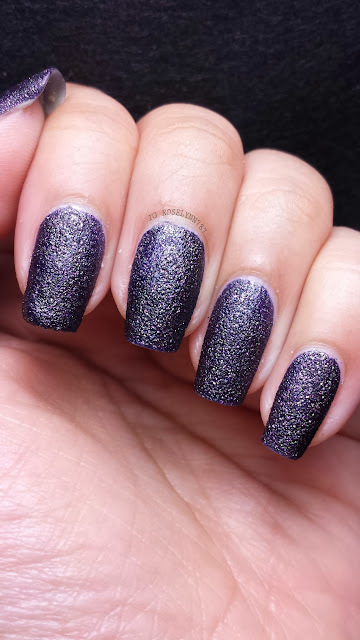 Words cannot describe how crazy intense this polish is. I really love the shade! I think it's the perfect color for the month and time of year. Glam Roc was swatched over a clear base coat, used 2 thin coats, and no topcoat. As you know, topcoat lessens the texture so I wouldn't recommend it. The polish is not sheer in one coat but I like the second layer to make sure I get full coverage. Just like the previous polish, this had a really great and easy application. Favorite one this month. 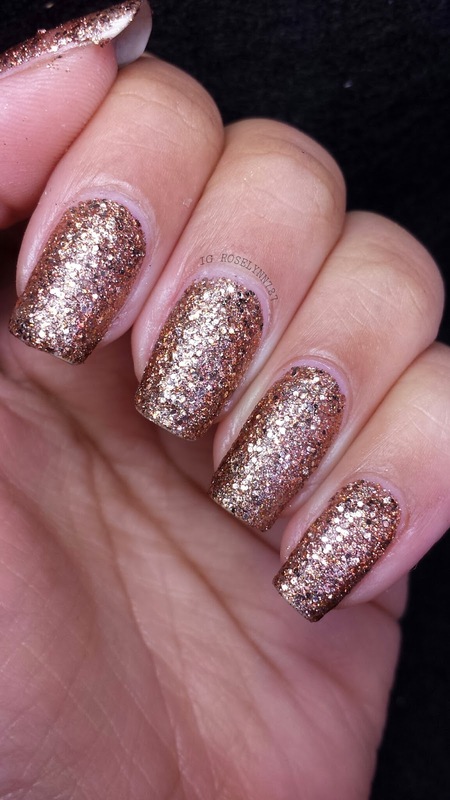 Next we have the dramatic Diamond Theory, a copper colored full-coverage glitter polish. This is definitely intended to be the eye-catcher of the bunch. I do like it but I definitely don't love it. 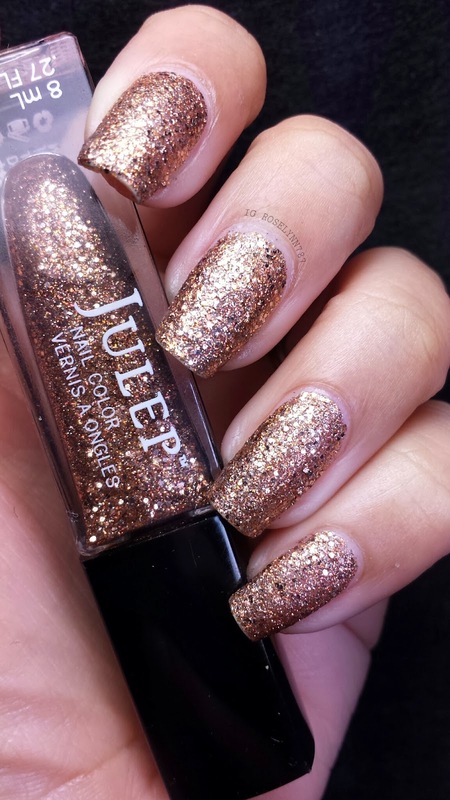 That being said though, I can see myself using it in the future for a accent nail. It almost looks like a texture polish, doesn't it? Swatched over a clear base coat, used 3 thin coats, and sealed with a fast drying topcoat. 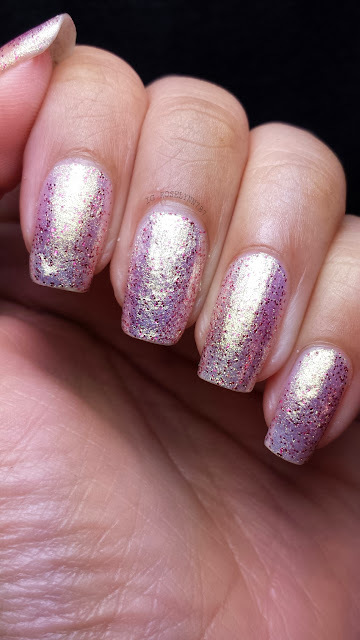 I had to use about three coats because of the way the glitter applied itself. I didn't really enjoy the application, I found it to be really sort of thick. For a lack of a better description, very goop-like. Definitely my least favorite of this month's box. Last, but not least, is Roc Solid! 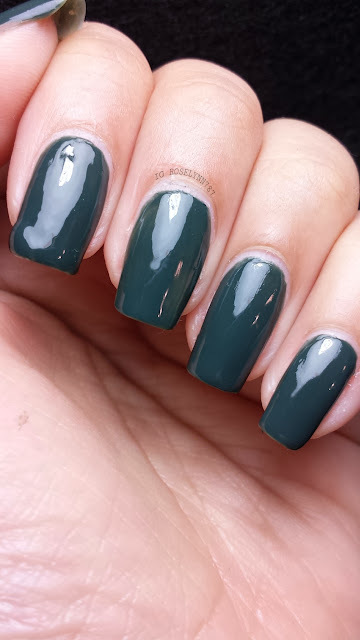 Roc Solid is a solid forest green creme polish. Now you guys probably think I'm totally nit picky but I don't feel this polish belongs with the rest. I love the shade, but it feels really out of place. From all the colors this month, I feel this one suits my skin tone the most and I really like that. It adds a sophisticated but simple touch. Swatched over a clear base coat, used 3 coats and sealed with a fast drying topcoat. The formula is naturally super shiny so adding the topcoat really made these photos have a lot of glare. 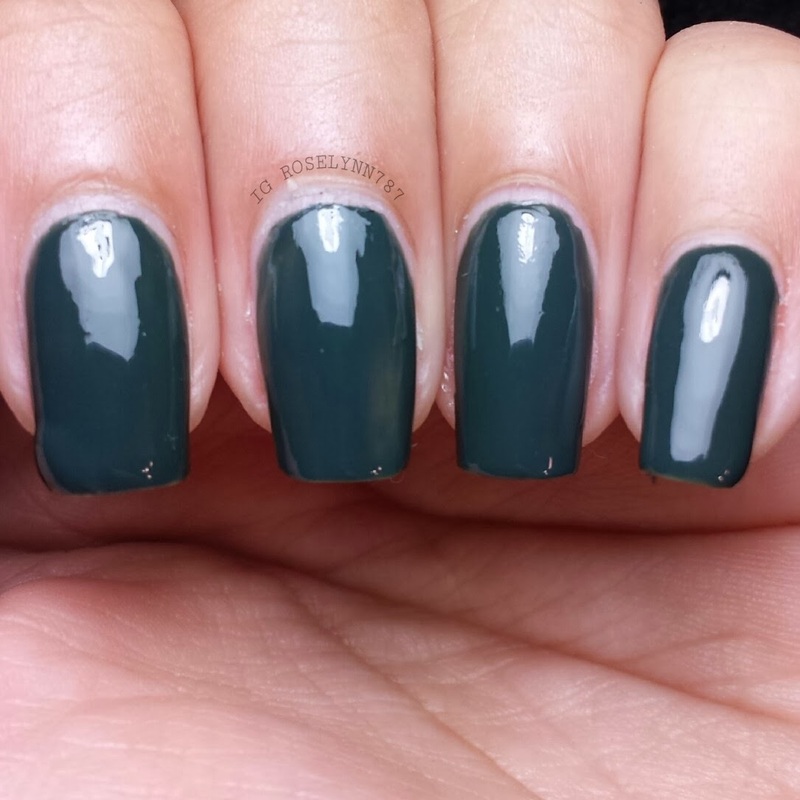 This application was pretty lackluster, it is sheer and streaky in one coat. You need about 3 coats and a topcoat to aid in lessening the streaking but of course that adds to the dry time. Very disappointed in this one in particular. Overall I'm not terribly disappointed with this month's entire box since we had a great variety in color and finishes. The extra free polish was a really nice touch and surprise, especially because it turned out to be such a lovely shade. The textured polish is again my favorite for the month, which is becoming kind of predictable. I wish the application for all of them could be equally stellar. Again I'm noticing a trend, the solid colors don't seem be as good as the textures or glitter polishes each month. Not giving up on Julep just yet though. We'll have to see what the next month has in store for us! Remember guys you can receive your first box free when you sign up. Just click the link on the sidebar and enter the code at checkout. Until next time, have a happy and safe weekend everyone.